If you are planning a cruise, then you will definitely want to map out your shore excursions. Depending on the cruise, your ship will have scheduled stops into certain ports, and Carnival will offer a nice selection of activities in each port. Of course, you aren’t required to participate in any of the activities, many people don’t even get off the boat. 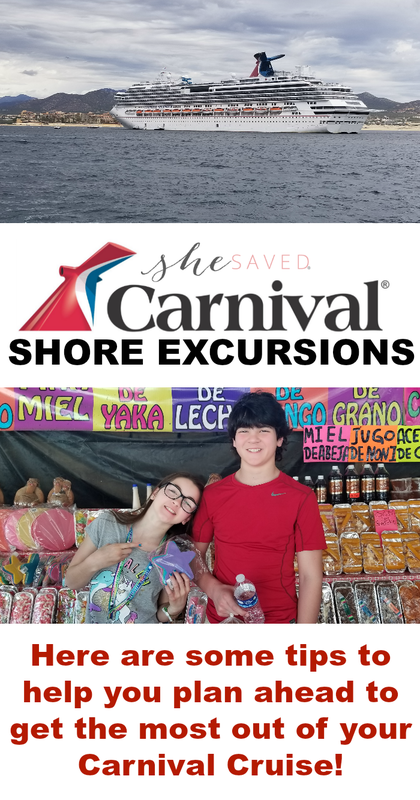 We recently travelled out of Long Beach on the Carnival Splendor and used our stops in Cabo and Puerto Vallarta to share some priceless experiences with our kids. When you first book your cruise, Carnival will provide you with all of the information you need, including a list of possible excursions. I highly recommend taking the time to look through these, read details and reviews and then reserve the ones that interest you most. Some of them sell out rather quickly and while you might be tempted to book your own adventures, one thing that I really appreciate about booking them through Carnival is that this will not only allow you to access the Carnival Shore Excursion Desk (which we found to be super helpful!) but it will also insure that you are backed by the Carnival Shore Excursion Best Price Guarantee. One of the best ways to determine which excursions are best for your family is to read the individual excursion listings on the specific Carnival Cruise website. You’ll want to make sure that you select options that fit the interests, abilities and ages of your family members. 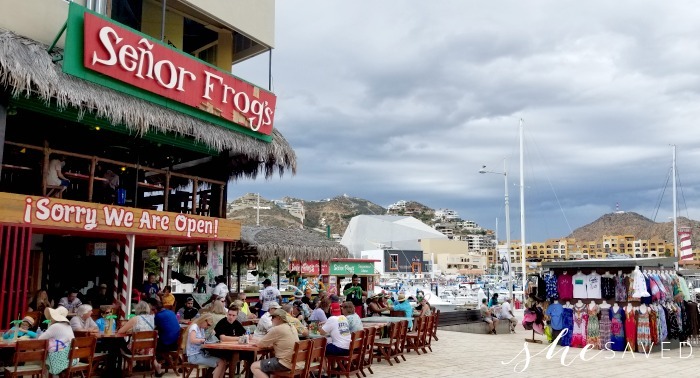 For our last cruise we opted for an adventurous afternoon of snorkeling in Cabo San Lucas, Mexico and for our second port stop, we selected the Give Back with a Purpose Community Tour in Puerto Vallarta. Both experiences were an amazing way to spend time as a family and make priceless memories. Experience the wonders of the Sea of Cortez’s waters when you snorkel Santa Maria Bay and Chileno Bay. You’ll take a 24 ft. Zodiac boat past Land’s End for photo opportunities of Lover’s Beach, the Sea Lion Colony and the Arch. Snorkel in the crystal clear waters of Santa Maria Bay, home to over 50 different species of exotic fish. Take a short ride to Chileno Bay for your second snorkel expedition. When you arrive to the port, the friendly staff of your Carnival Cruise will make sure that you know exactly where to go. Make sure you bring everything necessary for your activity, and I highly recommend cash and sunscreen at any port stop. For our stop in Cabo, were were taken off the boat in small groups and taxied to the shore. From there, each family is directed to their selected activity. We boarded the boat for our snorkeling expedition and had a fantastic time. With an entertaining crew, we enjoyed music and our hosts gave us instruction and helped us get our snorkeling gear on. We then snorkeled with a guide over to a designated snorkeling area where our guide helped us to see the different fish. It was a really neat experience. Once we were back on the boat, they offered drinks and everyone had a wonderful time taking in the scenery, music and festivities. After a few hours, and a chance to walk around town a bit, we taxied back to our Carnival ship which left the port in the early evening. 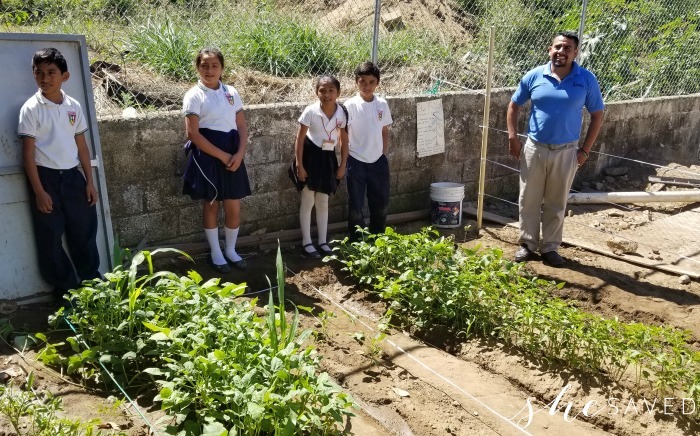 The next day, we arrived in Puerto Vallarta where we enjoyed a day exploring the surrounding communities as part of the Give Back with Purpose Community Tour. For this expedition, we got off the ship in Puerto Vallarta and we boarded a shuttle and then were transported with a guide to several destinations. Our first stop was a family roadside market (shown above) and then we continued on to visit school children in a local 5th grade classroom. The kids answered questions for us and even took the time to show us their garden. I really enjoyed the opportunity for my children to see another culture. After visiting the school, we stopped in San Pancho and got to explore the streets and take in some of the local flavor. Next, and one of my favorite parts of the Give Back tour was our stop at a local community center called Entre Amigos. This facility has many purposes that range from a free library and educational and resource center to a full blow (and very impressive) community recycling program. This was a very eye opening experience and I loved that my children got the opportunity to see first hand this type of appreciate for all of the products that many people throw away like trash. The recycling program was so impressive to me, they let nothing go to waste. They even had bathroom walls that were made from recycled plastic bottles. They also had a textile room where they recycle used clothing and I couldn’t believe all of the things that they were able to make from used clothing. Everything from pillows to plush animals. As you can see, these were both priceless experiences for our family. If you are looking for excursion ideas, I definitely recommend both of these. One of the reasons that we love traveling with our children is that it opens their eyes to a bigger world, and they can see first hand the culture and lifestyle of other countries. These are the types of things they can’t learn in books and adding these opportunities to our travels makes me feel like we are getting more out of our vacation than just a “vacation”.